[ENG] Super Junior 7th Anniversary celebration. 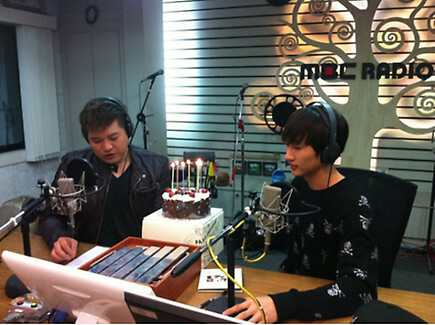 Event one prepared by Eunhyuk and Shindong. “Passionately singing 7 Years Of Love”!! Event two. “Telling words of congratulations and thank you”!!! Super Idol SuJu forever!!! The boys of Super Junior have been endorsing Thailand’s ‘12 Plus‘ cosmetic brand for quite some time now and their second endorsement in 2012 for the company has been revealed. Back in January, members Leeteuk and Donghae revealed their deodorant commercial, which was the first CF for 2012. Replacing Leeteuk in the new commercial is Siwon while Donghae makes another appearance. The commercial features the Miracle Photogenic product and a beautiful Thai model uses the product to attract both Siwon and Donghae. Siwon and Donghae went to Thailand around two weeks ago to film the CF and also appeared at a special press conference for 12 Plus. Check out the commercial and fan cam footage. FIX’ vocals Jung Wook and Oh Song showed their support to two Super Junior members who graduated yesterday, Ryeowook and Siwon. 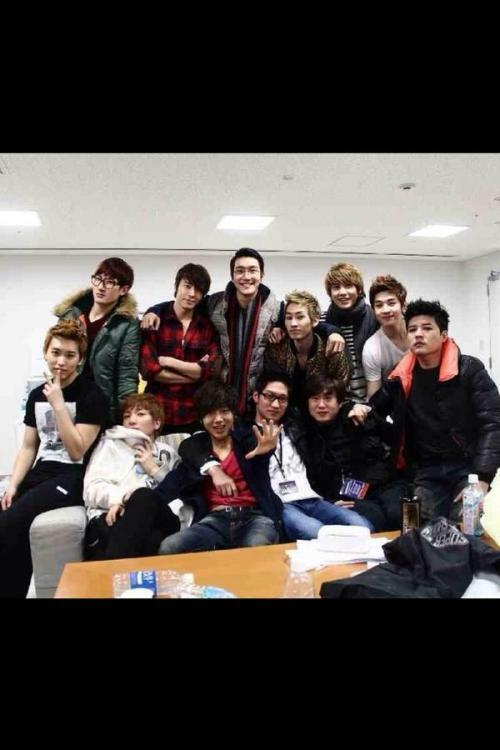 Even before FIX’ debut, the group is already known to be good friends with Super Junior mainly because Ryeowook and Jung Wook are cousins. Ryeowook and Siwon graduated after six long years majoring Film and Theater Arts at Inha University. 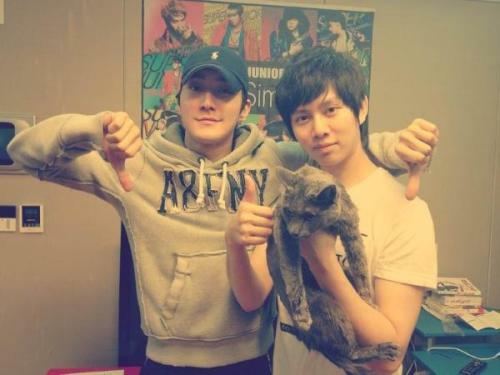 Another Super Junior member, Eunhyuk, is known to be very supportive of FIX. He plays the main lead in the music video Don’t Say Goodbye and just few weeks ago, FIX also came to watch Eunhyuk’s musical Fame.